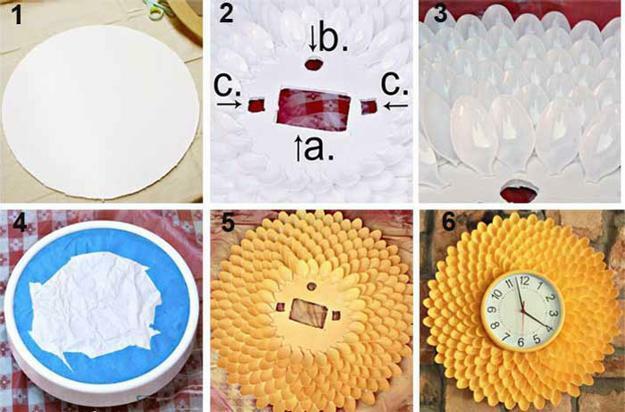 Creative recycling and DIY design ideas are fantastic ways to personalize interior decorating with handmade home decorations. 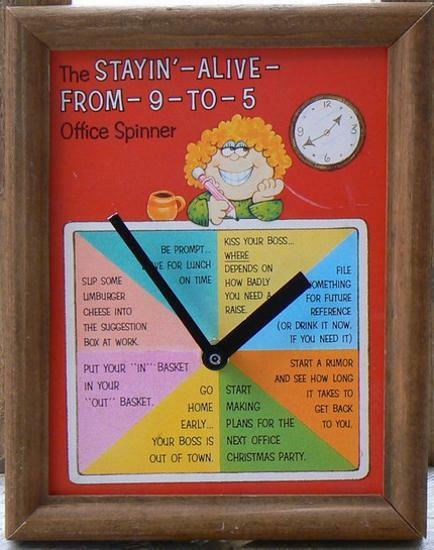 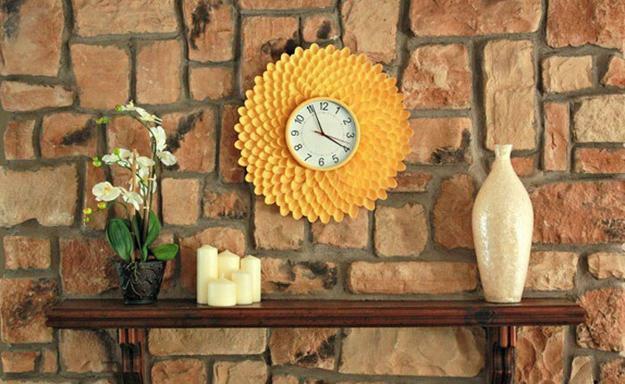 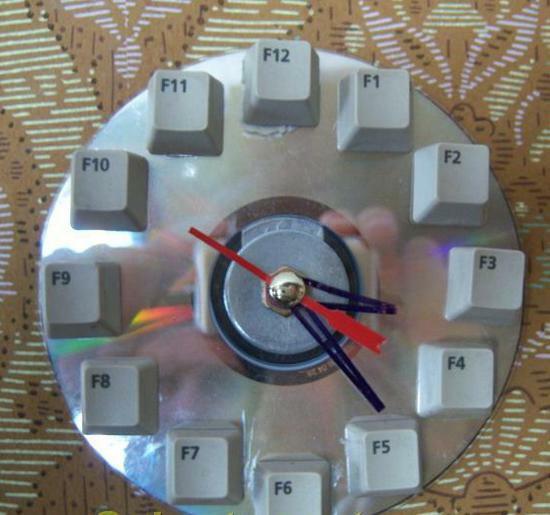 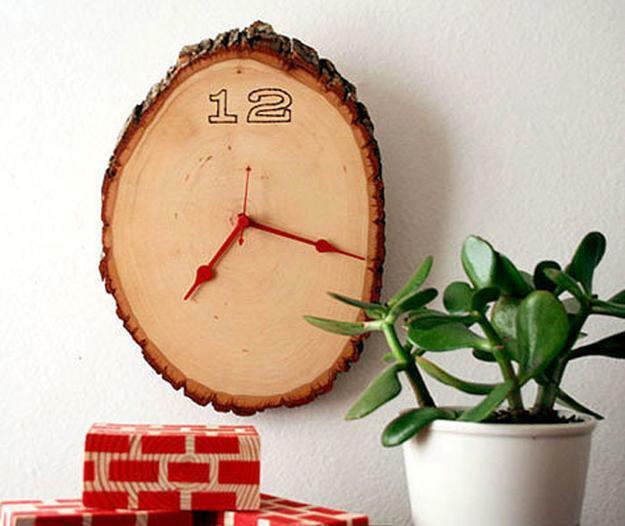 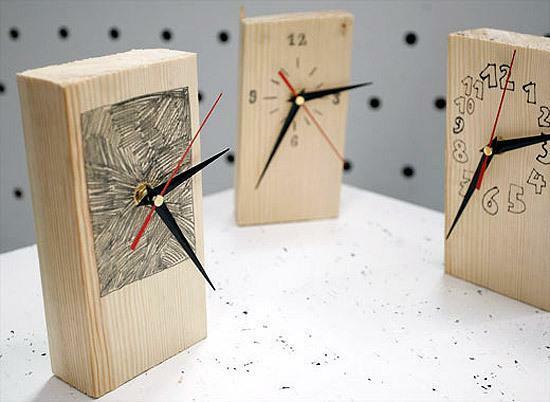 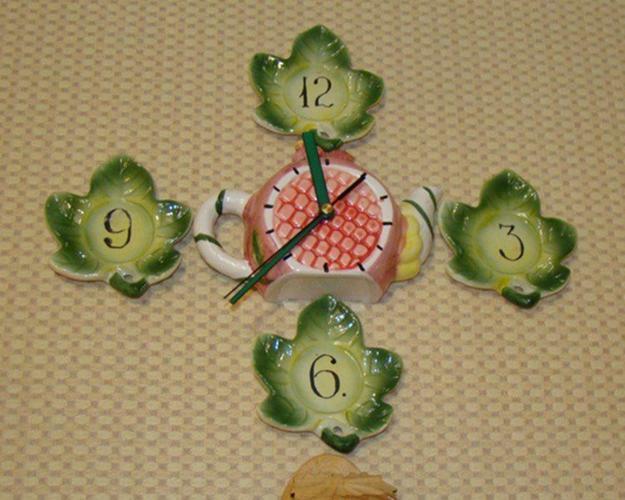 Modern wall clocks, recycling useless items that exist in every home, offer interesting and inexpensive craft ideas for unique interior decorating. 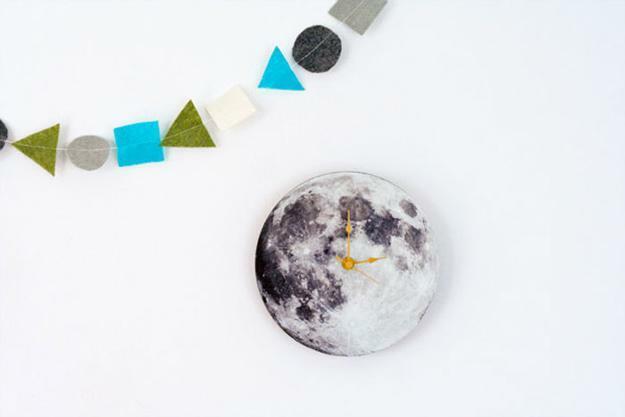 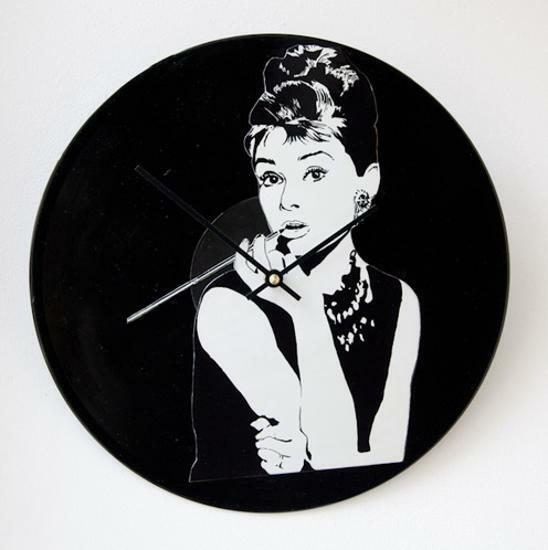 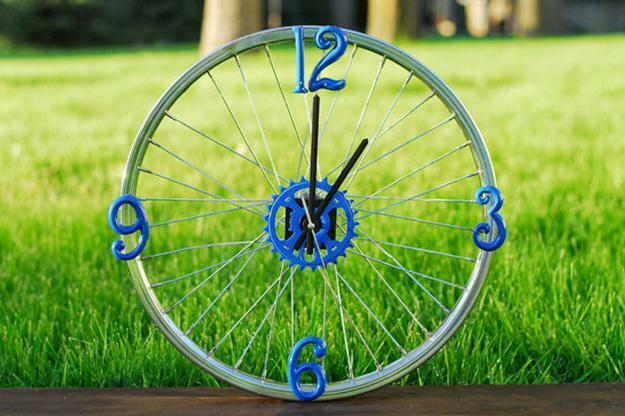 Lushome shares a collection of amazingly simple, attractive and stylish funky wall clock designs. 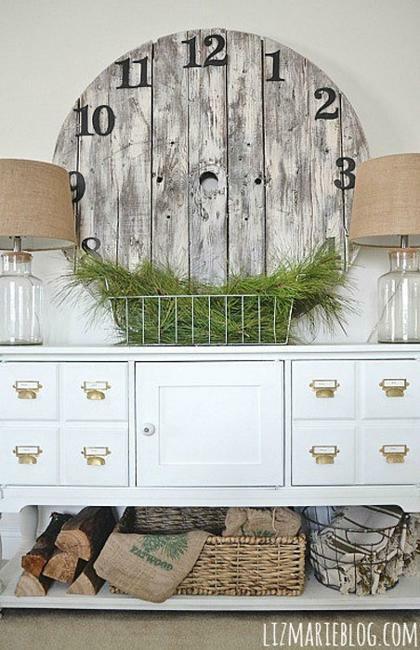 Decluttering may inspire creative recycling and DIY design ideas. 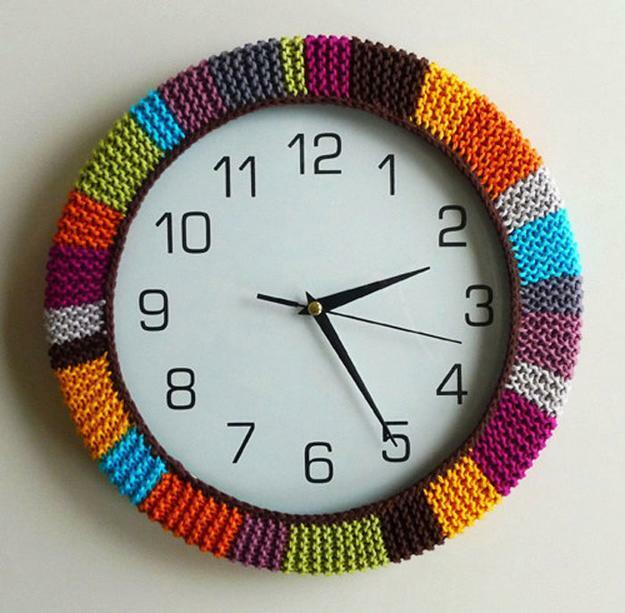 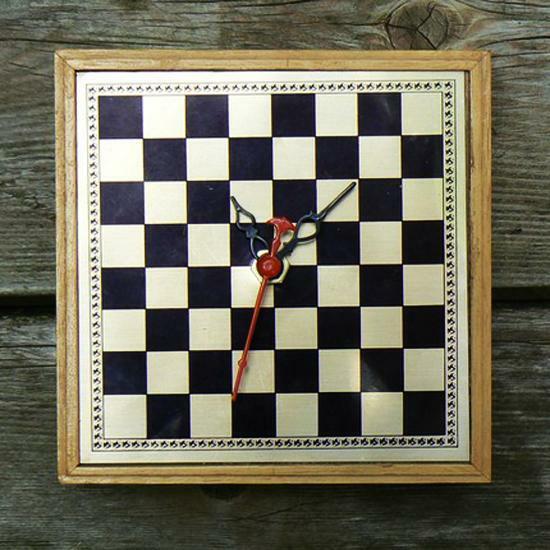 A funky wall clock made with plastic items, wooden blocks, paper, chess boards, cloth pins, fabric or yarn can satisfy any decorative needs. 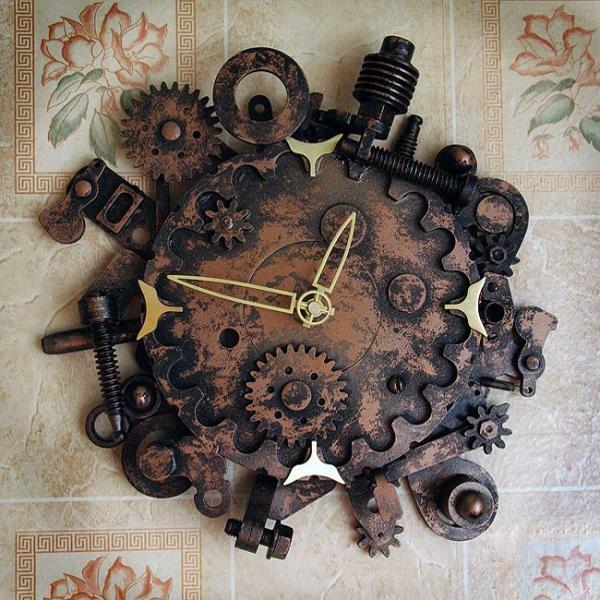 Artistic wall clocks show off original design and amazing creativity, turning clutter into treasure and transforming useless items into modern wall clocks which are made at home. 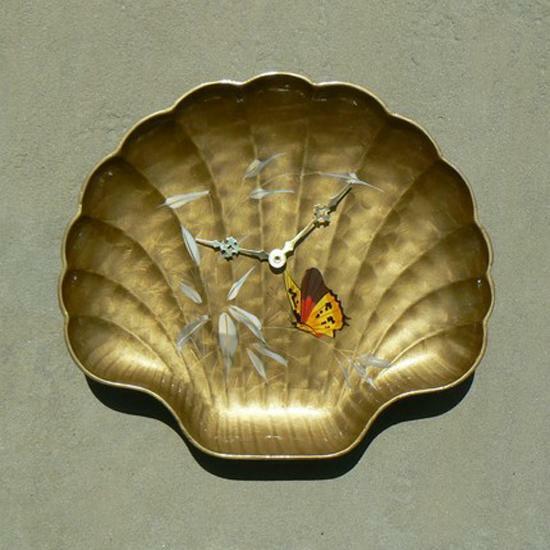 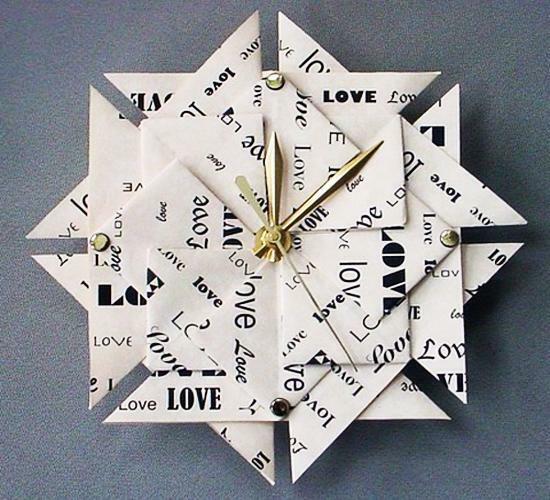 Cardboard and old photographs, drawings and carved wood pieces, metal parts and paintings, embroidery rings and miss-matched tableware can be used for funky wall clocks designs. 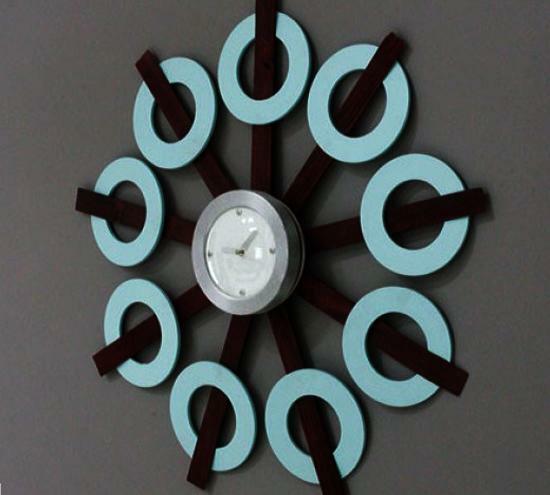 Funky wall clock designs make a statement and personalize interior decorating like nothing else. 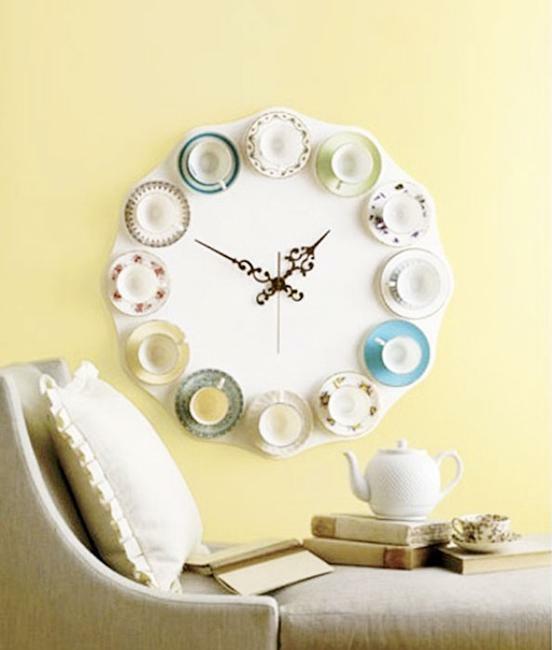 Every kid and adult homeowner like to show off their beautiful living space to friends and family members, and funky wall clock designs are one of the best way to brighten up a room and give it a character. 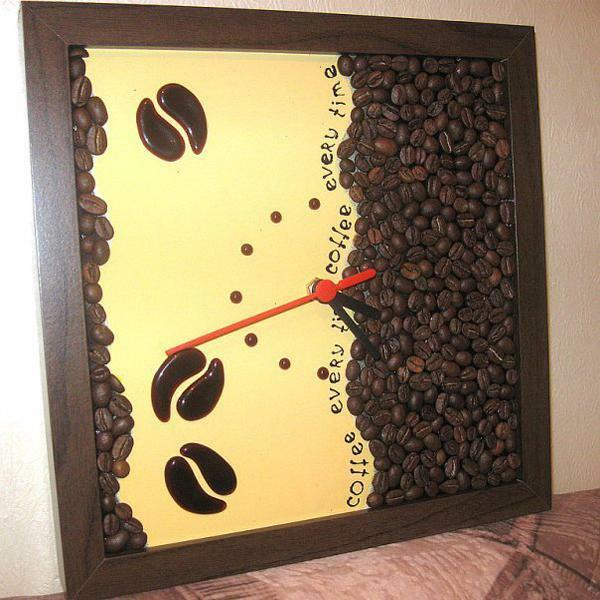 Interesting wall clocks beautify interior decorating and work well with other handmade home accessories, artworks and unique home decorations. 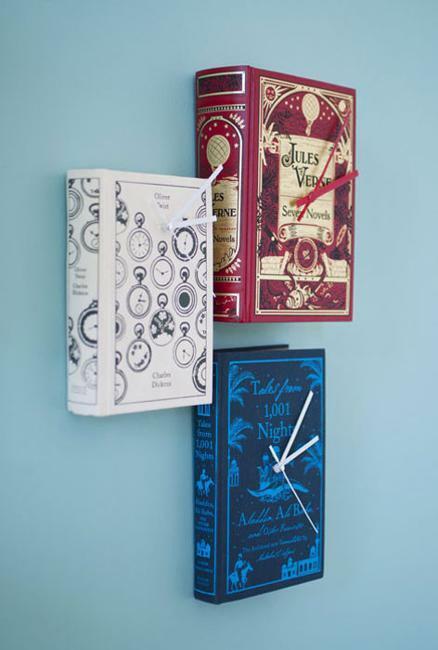 Whether you are an artist or not, with patience and creativity, recycling clutter into funky wall clock designs can transform interior decorating by adding original art pieces and functional home accessories to existing walls. 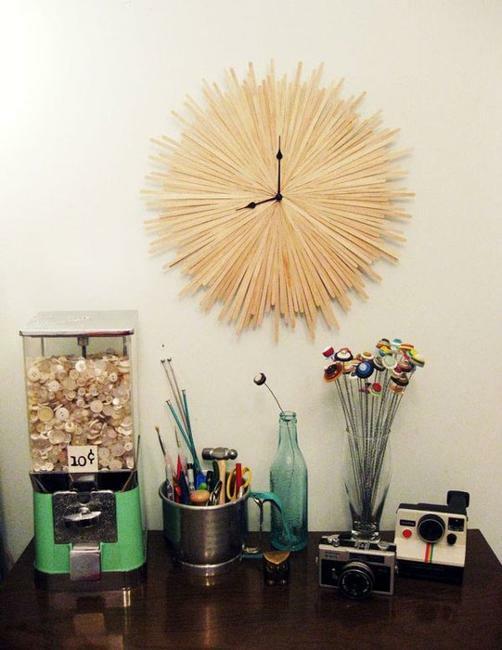 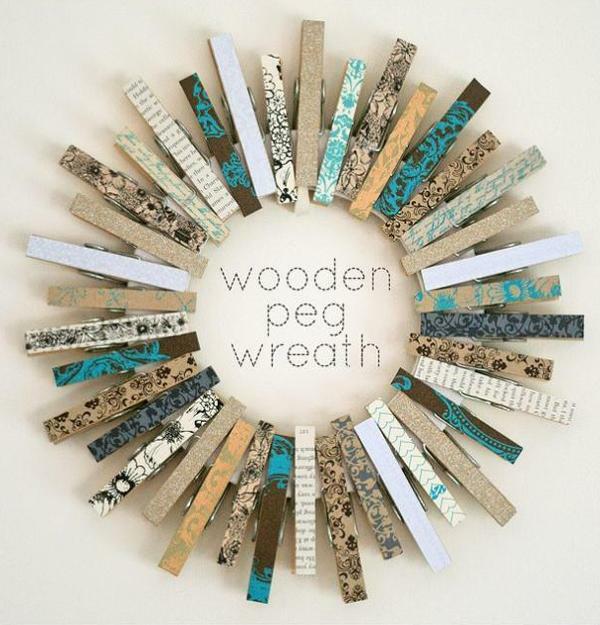 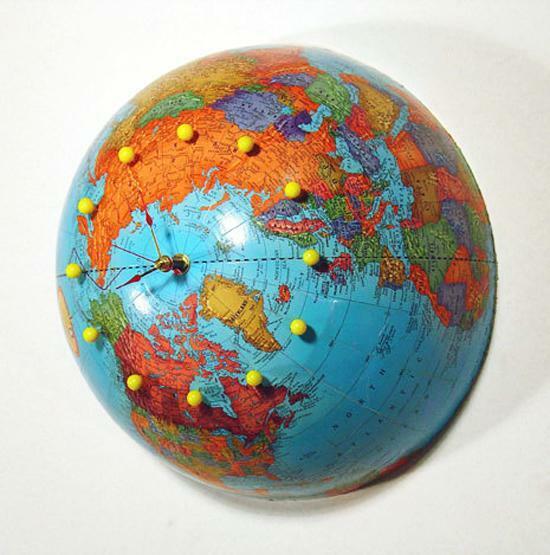 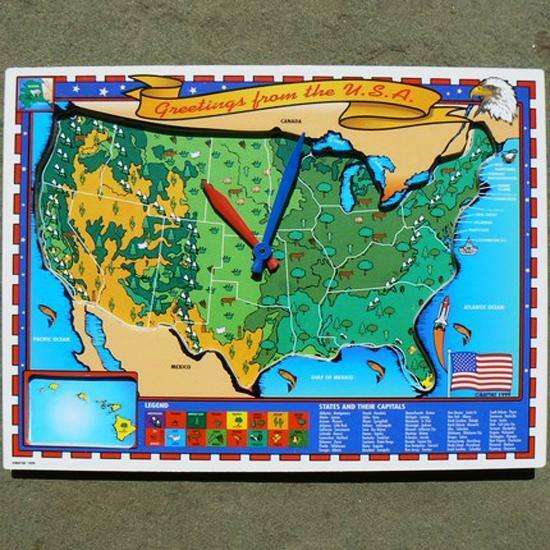 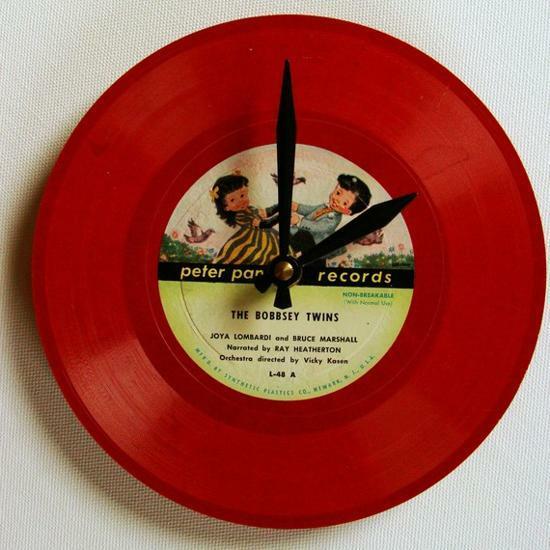 Recycling art canvases, old vinyl records, tableware, salvaged wood, bike wheels, wood slices, picture frames, fabric, paper pieces and maps is great for funky wall clock design and personalizing wall decoration. 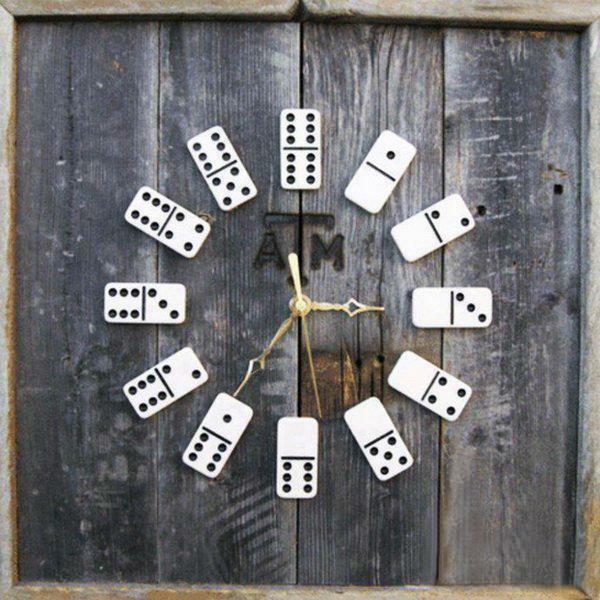 Personal letters, meaningful words, numbers and embroidery designs look fabulous on wood blocks and boards, turning salvaged wood pieces into amazing funky wall clock designs. 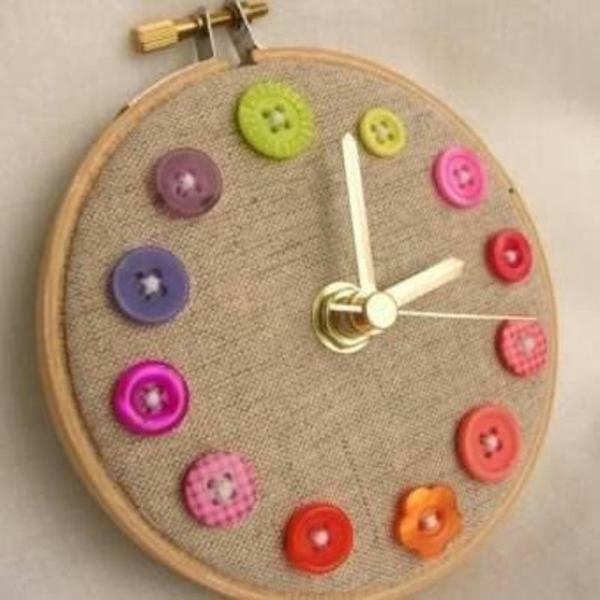 Baby hand prints and personal paintings, cloth pins and plastic spoons can beautifully decorate modern wall clocks while recycling clutter and creating eco friendly products for inexpensive, stylish and Green interior decorating. 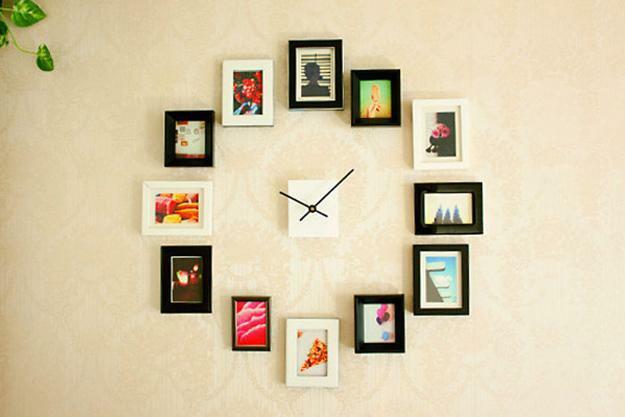 DIY wall clocks can make very special gifts and meaningful home accents. 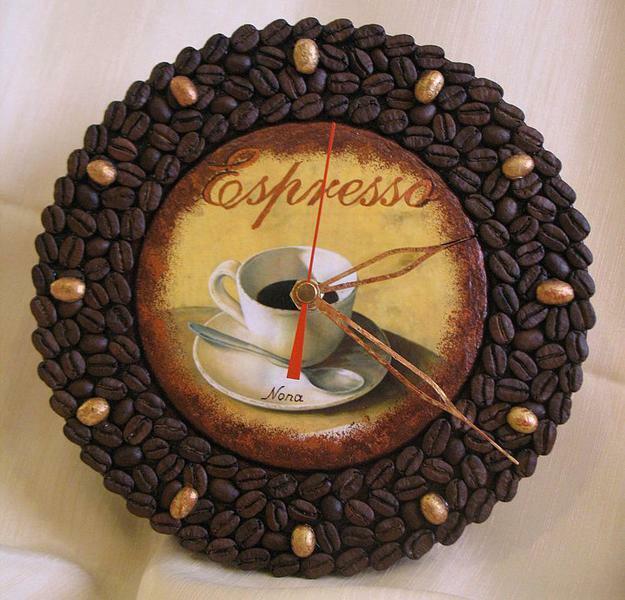 Funky wall clock designs are wonderful examples of personalized art for interior decorating that reflects individual tastes and character. 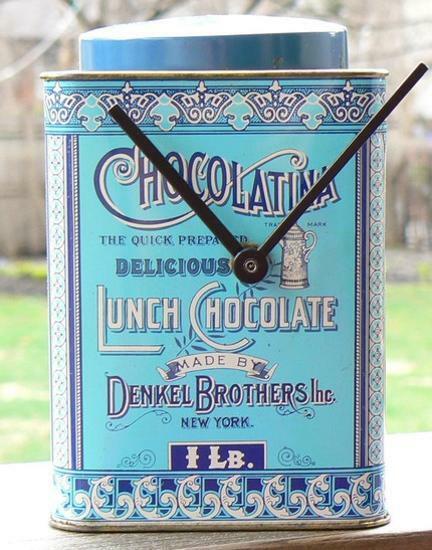 Handmade wall clocks, desk clock designs and kitchen clocks are livening up homes with unique decorative details, adding artistic vibe to modern interior decorating.